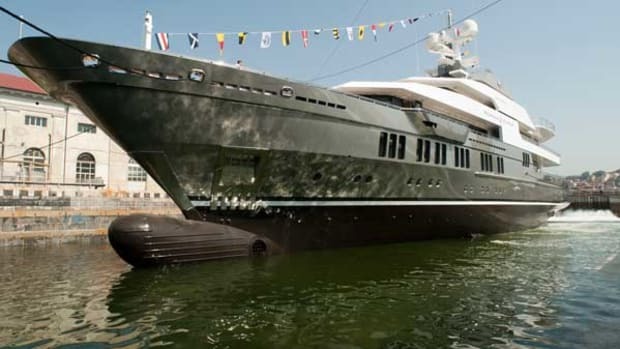 Viareggio Superyachts this summer launched the 72-meter (236-foot) Stella Maris. The yacht’s design is by Espen Øino and the naval architecture by Laurent Giles Naval Architects. The yacht blends traditional elements of design and layout with new variations such as, staggered internal decks, substantial headroom in the salons and an innovative bow shape.